Rite Rate Heating & Cooling has been known as a plumbing, heating, and air conditioning company in Springfield, NJ that offers only the best plumbing and HVAC services. We have a professional and experienced team that carry out repairs, replacements, installations, and maintenance. We guarantee customer satisfaction on all services and can provide a free estimate if needed. As a professional plumbing, air conditioning, and heating company, we make sure our services are affordable and that we’re available 24/7 when you need immediate repairs! If you need a burst pipe replaced, a new ductless air conditioner, or heating repair in Springfield, NJ, don’t hesitate to contact Rite Rate Heating & Cooling. At Rite Rate, we offer a wide variety of plumbing solutions such as plumbing repair, installations, and replacements. No matter what your plumbing needs are, you can count on our knowledge and expertise in this field. Our experts can cover every aspect of plumbing services. We only employ licensed plumbers who can perform both residential and commercial plumbing tasks. Anytime you have a leaking or clogged drain, pipe, or other plumbing fixture, our plumbers can handle it. We’re licensed to repair, replace, and install any pipe, bathtub, toilet, shower, sink, drain, sump pump, and faucet in your home or business. With the use of video camera inspection of your pipes, we’ll be able to find any debris that might be blocking your plumbing. We inspect broken pipes, fix loose connections, offer food assistance, and water damage restoration. Whether you need sewer and drain cleaning or a sink unclogged, we’ll get your plumbing up and running smoothly! Call Rite Rate for 24-hour plumbing repair or for a new installation! An improperly functioning heating system can put a wrench in your entire day. Our heating company in Springfield, NJ is second to none! As a professional heating company, we provide a wide range of repair, replacement, maintenance, and installation services for your heating system. We have qualified installers that can install any residential or commercial heater. Our heating services are extremely affordable and are the highest quality. You can even count on us for 24-hour heating repair for your hot water heater, boiler, or furnace! It’s important for you to have an efficient heating system at all times and therefore in case of emergency problems contact our heating experts to fix it immediately. When you call us for heating repair in Springfield, NJ we guarantee we’ll get to the bottom of the issue and restore your heating to working conditions. You can trust our heating company has it under control when it comes to boiler maintenance, installing a new tankless water heater, or replacing the air filter. From heating repair to a new furnace installation, Rite Rate is the heating company to call for expert services! Are you searching for an affordable and professional air conditioning company in Springfield, NJ? Our air conditioning company has a team of HVAC contractors that are licensed to service any air conditioner you may have in your home or business. When temperature changes drastically, we are always here to ensure that your air conditioning units are functioning properly. Your comfort is our topmost priority and we are committed to 100% customer satisfaction. We do everything including installations, replacements, and repairs. Should you notice your air conditioner isn’t working or blowing cold air, call us immediately! Rite Rate contractors are here 24/7 in the event that your air conditioner needs urgent repairs. Regardless if it’s a central AC, forced air, ductless air conditioner, heat pump, or air handler, we’ve got your back! 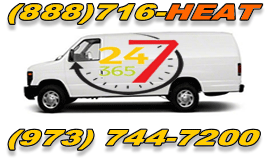 We have a team of experienced contractors that remain available 24/7 for immediate repairs. Our technicians will even recommend the best air conditioner for your house or office if you need a new one installed. As a reliable air conditioning company, we also schedule routine maintenance to avoid unnecessary repairs and to help lower your utility costs. Whatever service you need for your residential or commercial air conditioner, Rite Rate is your go-to air conditioning company that you can count on 24/7!